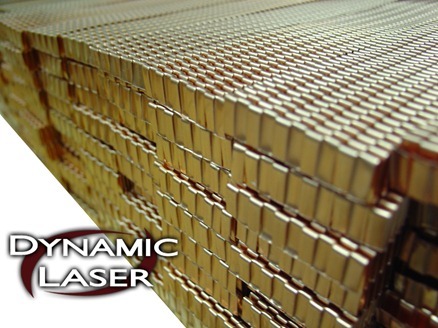 Dynamic Laser only uses the highest quality parts when we build a new laser tubes. Dynamic Laser only uses only the highest quality parts when we build a new laser tubes. For example, we use copper cooling fins that are brazed directly to the ceramic laser tube rather than cast aluminum that are simply placed around a ceramic bore. What does this mean for our customers? It means our laser tubes will run at a cooler and more stable temperature than others. It also means that our customers will receive a laser tube that will exceed their expectations in terms of quality, operation, and longevity. We use this type of cooling fin on all of our replacement laser tubes for American Laser Corporation (ALC) and Ion Laser Technology (ILT) Lasers. This entry was posted in Uncategorized and tagged ALC, american laser corporation, ILT, Ion Laser Technology, laser repair, Laser Service, laser tube, Laser Tube Replacement. Bookmark the permalink.